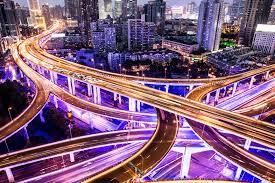 With ever-advancing technologies, even the roads are going digital. Road work companies are going to have a lot of catching up to do once these technologies get improved upon and rolled out on a wider scale. The first step in this new development is that current roads are currently being gradually replaced with environmentally friendly, organic resin-based roads. With the development such as brands like Eco-Pave, many road surface manufacturers are looking into the possibility of using recycled plastic in new road construction. Trailed in the Netherlands, dynamic paint can make symbols appear on the surface of the road. This is to indicate whether the temperature is hot or cold enough to affect driving conditions. 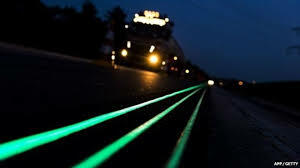 Also trialled in the Netherlands, these road markings are glow in the dark and can be seen without the need for lights to be shining on them. Anti-icing roads were trialled in Wisconsin. The roads surfaces contain a naturally reactive de-icer (such as SafeLane) to prevent ice from forming on the road. Interactive wind-powered lights have been tested on roads in the Netherlands. These lights only turn on when a car is present and are powered by the wind. Also trialled in the Netherlands, wireless electric vehicle charging eliminates the need for electric car drivers to stop and refuel. An “inductive power transfer” (the same technology that is used to charge electric toothbrushes) is used. Solar energy roads are currently in development in the U.S. 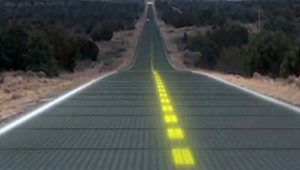 They are essentially solar panels that are specially reinforced so that they can be driven on. This would give an eco-friendly road network that would provide renewable power to a large portion of America. 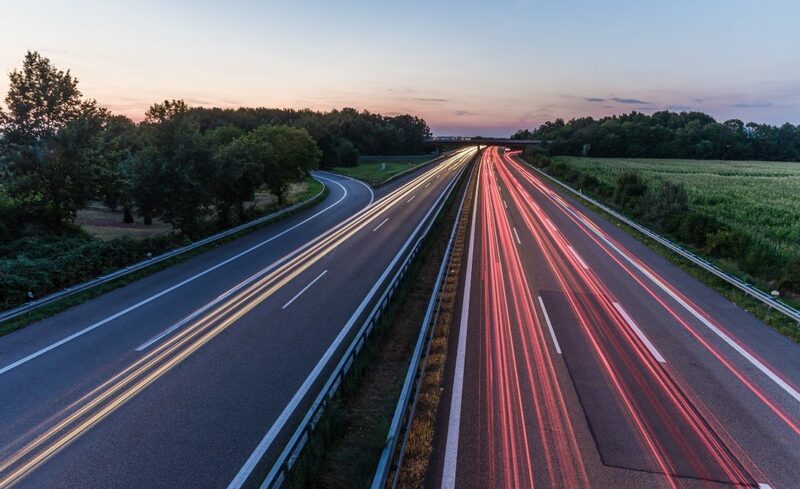 Piezoelectric energy roads use piezoelectric crystals, which can generate energy from the vibrations that vehicles make on the road whilst driving. This is being trialled in Israel and is expected to be released in 2020. These intelligent roadside “listening stations” will link up with GPS receivers in cars and will be able to monitor traffic patterns and accidents on the roads. This information will then be passed onto other drivers Sat-Nav devices to help them avoid congested areas and accidents. What’s Next for Road Work Companies? As with many industries these days there are fears of becoming obsolete due to new and advancing technologies. But road work companies shouldn’t be worried at this stage. There are many developments that aren’t set to even be ready until 2020 and even then there has to be numerous safety checks and tests done before anything will be approved for use by the government. Road work companies are likely safe for now, and will hopefully be able to begin to develop the skills to be able to carry out the new developments that will likely be coming our way in the next decade.